A Medicaid advisory panel doesn't want to count third-party costs and payments in the calculation of the Medicaid shortfall for disproportionate-share hospitals, a move that could increase DSH payments to hospitals that serve a high share of Medicaid-only patients. Medicaid and CHIP Payment Advisory Commission members cast 15 votes in favor with one abstention to approve a recommendation to Congress to change the definition of a Medicaid shortfall, or the difference between the cost for providing care to Medicaid patients and the payments for the services. Hospitals have challenged the shortfall's calculation in court. The commission's proposed definition would exclude the costs and payments for all Medicaid-eligible patients for whom Medicaid isn't the primary payer. What can be included in a shortfall has a major impact on the amount of DSH payments that a hospital can receive. 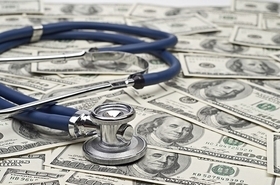 Under federal law, a DSH payment to a hospital cannot exceed the shortfall amount. The CMS said in guidance in 2010 that the third-party payments, such as payments from Medicare or private insurance, should be counted in the Medicaid shortfall calculation. The agency codified this position in a proposed rule in 2017. The commission believes that the new definition would be simpler for hospitals. Currently when a hospital enrolls a Medicaid patient with private insurance, then the surplus the hospital gets for those patients reduces the DSH payment the hospital can receive, according to commission staff. The panel shrugged off concerns from hospital groups to wait until after a lawsuit surrounding DSH payments makes its way through the courts. A federal judge ruled last year that the CMS had to vacate a final rule that required hospitals to deduct any Medicare or commercial insurance reimbursements from their DSH allotment. Hospitals have argued that the CMS didn't have the authority to issue the rule in 2017 and the CMS appealed the ruling in April 2018. "There is ongoing litigation and not settled policy yet," said Shannon Lovejoy of the Children's Hospital Association at the meeting. "This needs to play out a little more in the court system before we can get a handle on this." The CMS has pulled the 2010 guidance and is not enforcing the 2017 rule. Hospitals could be on the hook to pay back millions of dollars to the CMS if the rule survives. Missouri hospitals estimate they could have to pay back nearly $96 million to the federal government based on 2011 and 2012 DSH allotments alone. Commission members believed the litigation shouldn't prevent a recommendation and that Congress needs to change the statute to reverse the effects of the court ruling. "I am not persuaded that waiting on the judicial system to correct bad policy is good policy," said commission member Dr. Sheldon Retchin, a professor of medicine and public health at Ohio State University. If Congress changed the statute and addressed the shortfall definition then it "could settle the water and create some certainty that would be beneficial to the community at large," added Chair Penny Thompson, a consultant who formerly served as deputy director of the Center for Medicaid and CHIP Services at the CMS. Congress is expected to pass legislation this year to delay $4 billion in cuts to DSH payments that go into effect on Oct. 1. However, some Republican senators have floated updating the DSH payment formula that was originally created in 1992.